December has finally started. It’s supposed to be the time of the year of joy and happiness. However, for me December had no good start. On Monday I got the news that my uncle, the closest family I had here in Austria, had passed away the night before. He had been sick for a while, always in and out of the hospital and although we had spent the last two months in the hospital again, it was quite sudden, or else someone would have called my cousin and me. Even though this is a hard news and I am very shaken, I am trying my best to keep living my life as normally as possible. We do not know when the funeral will be yet. I know he would want me to be happy and that he probably is feeling a lot better now and is reunited with my aunt and my Opa. Nevertheless, I hope this month gets better..I hope everyone is doing well and hope you remember to tell the people in your life that you love them. It was the last thing I told him and even though I keep torturing myself for not being able to reach him on the phone the days before, I at least know that he knew how I felt about him, how important he was to me and how grateful I am to have had the opportunity to have such a kind and loving person in my life. 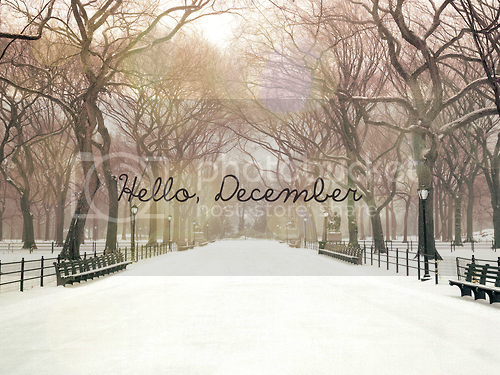 I wish all of you good December and hope you all are having a better time.